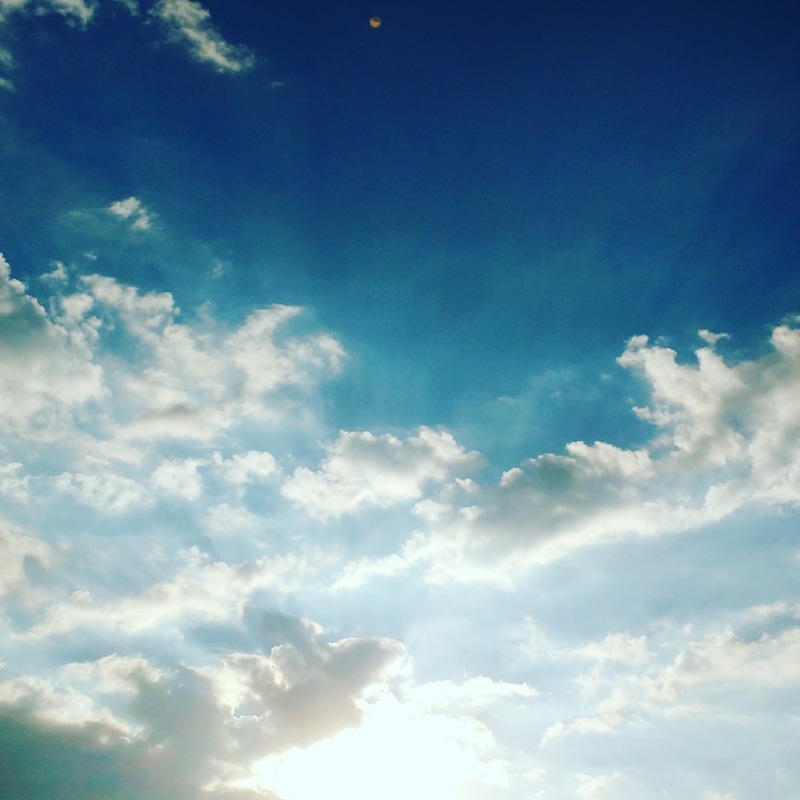 This is a guest post from Adam & Stephanie from Road Unraveled blog. We are Stephanie and Adam, the travel writers behind Road Unraveled, and we want you to take a different vacation. 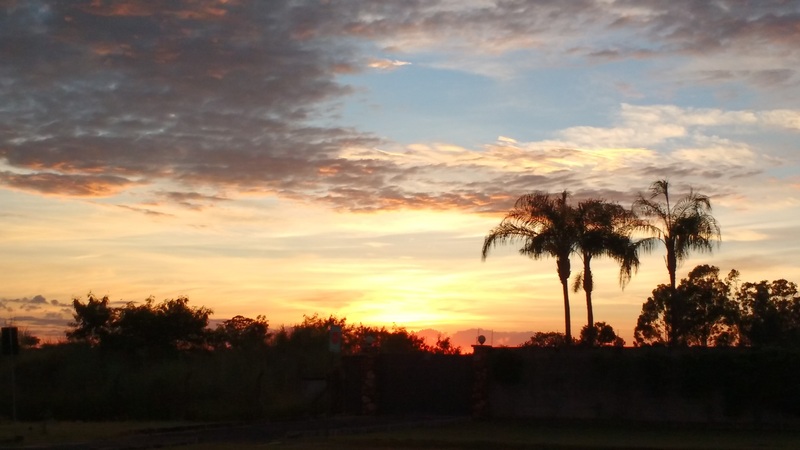 We’re part time travelers with full-time jobs, and we’ve learned when you combine limited vacation time and budget with a passion to explore the globe, you can uncover some incredible adventures! Even though Washington, DC is the United States’ capital city, it’s not always the first place visitors think of when they plan a trip to the USA. We have lived in DC for the last decade, and we know that when it comes to history, free activities, and great food, you won’t find a better place to spend your vacation! Here are our tips for what to see and do when you visit the capital city of the United States of America. Florence isn’t my favourite Italian city. There, I said it. 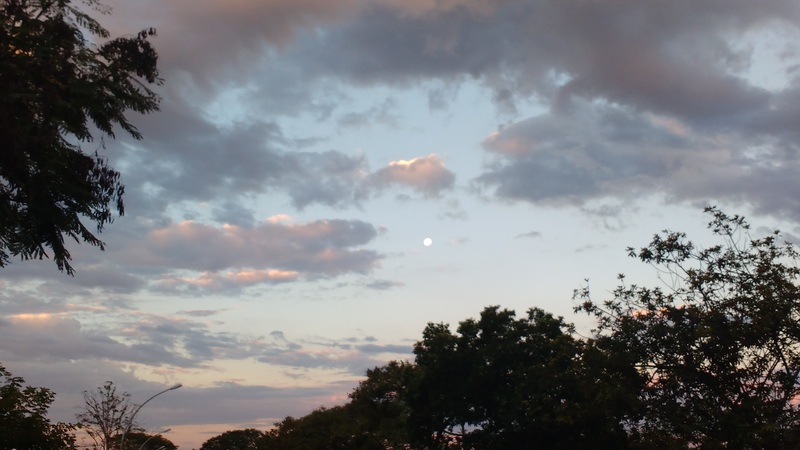 But it’s undoubtedly beautiful and immensely important for world culture. After all, it’s the birthplace of Renaissance and artists such as Michelangelo created some of their best masterpieces in Florence. Having said that, it’s no wonder than many people find Florence daunting and even overwhelming because of an abundance of must- see museums and art galleries filled with so many iconic sculptures and paintings. Florence is also one of those cities where the tourists outnumber the local population in the period of April to October. So choose your time of visit wisely. I’d suggest to either visit in the early Spring or in the late Autumn. Definitely avoid the summer when it’s too hot to walk around the city. If you’re a first time visitor then definitely focus more on squares and palaces and ice-cream than on museums. Unless, you’re a real culture vulture and you simply have to see the original statue of David in Galleria dell’ Accademia. And book your museum tickets online to avoid waiting in the queue. Even if you only have a day in Florence you can manage to see all of the most important sights I listed below. 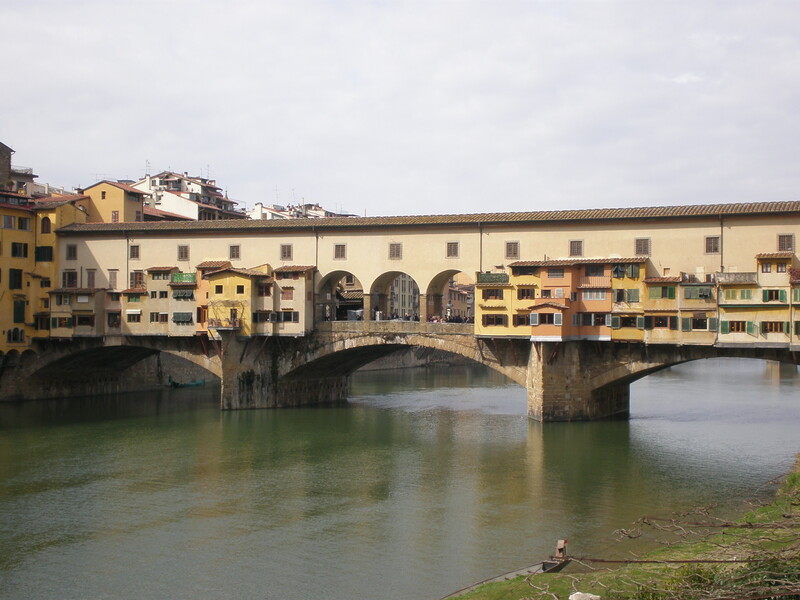 The oldest bridge in Florence (1345) is also the most beautiful one. The Americans call it the Golden Bridge because of all the high-end jewellery shops on it. It’s always crowded and you should take care of your belongings while admiring all the costly jewellery. If you cross the bridge and go left you’ll reach the Palazzo Pitti and the serene Boboli Gardens. 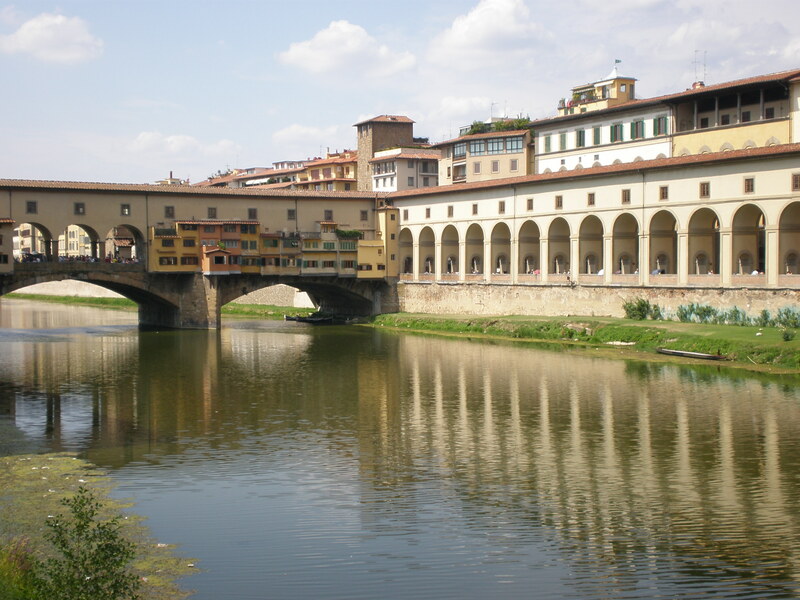 Over the bridge is the Vasari’s Corridor which connects the new Medici palace (Medici family ruled over Florence and Tuscany for centuries) of Palazzo Pitti with the old palace of Palazzo Vecchio. The newest addition to the bridge are the so-called love padlocks. To take the best photos of the bridge you have to either go to the bridge after or before the Ponte Vecchio bridge. Once the political center of the entire region and nowadays a hotspot for locals and tourist alike this gorgeous square is also a sort of museum in the open. 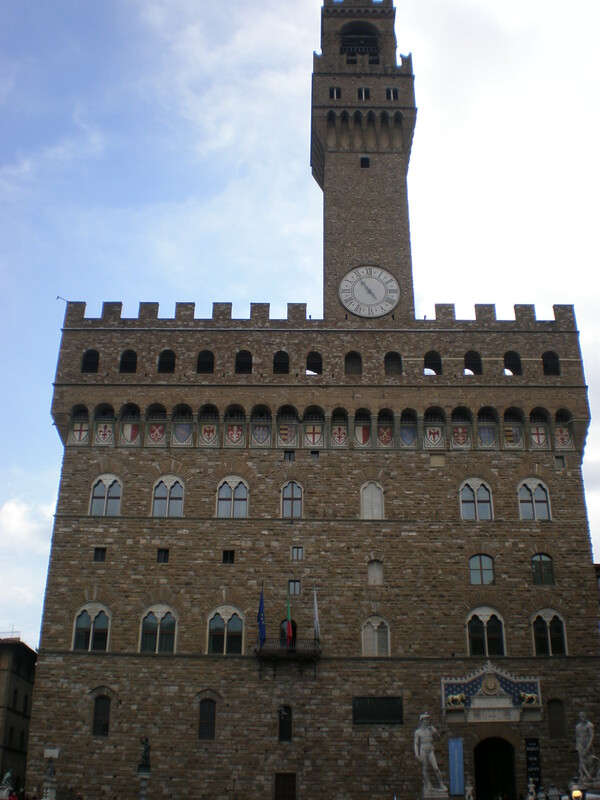 The dominating feature of Piazza della Signoria is the medieval town hall of Palazzo della Signoria or Palazzo Vecchio. You can enter it for free but if you want to see the upstairs rooms you have to pay for the ticket. On the right side of the palace is the world-famous museum the Uffizi and on the corner is the Loggia dei Lanzi with a number of interesting sculptures. 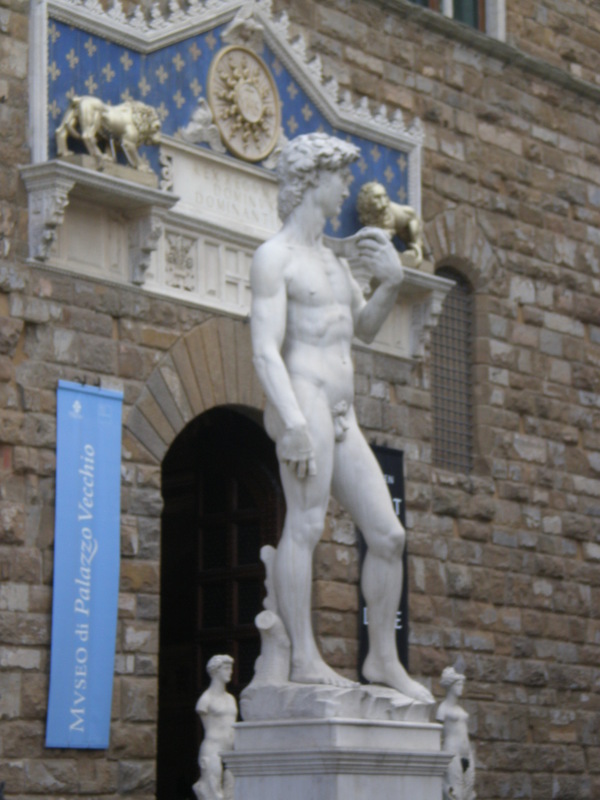 There are many important art pieces at this square including the copy of Michelangelo’s David (the original is in the Accademia). 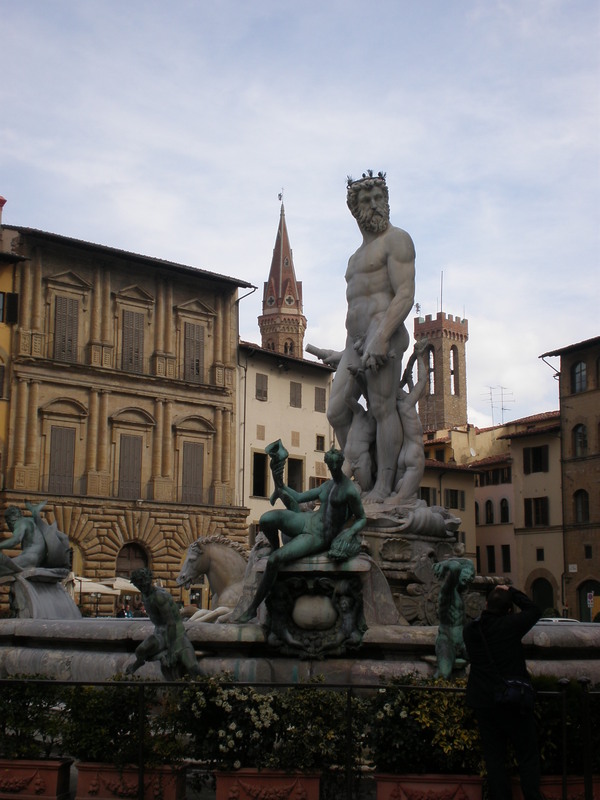 There’s also the Neptune Fountain and the Cosimo I Medici sculpture on a horse. Occasionally there’ll be some temporary modern sculpture or installation too. You’ll probably notice a round marble plaque on the floor in front of the Neptune fountain. That plaque marks the exact spot where the infamous Girolamo Savonarola was hanged and burned after he was finally captured. He used to organize Bonfires of the Vanities in the 15th century and burn books and artworks. There’s a water tap behind the Neptune’s fountain so you can fill in your water bottle. If you fancy a cup of pricey coffee you can choose one of the two historical cafes at the square. London is the best city in the world! 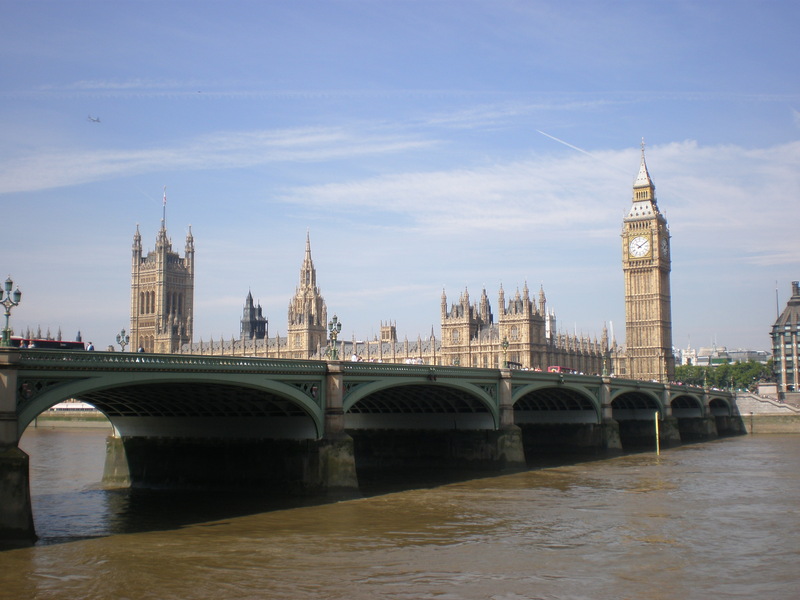 But visiting London can also be overwhelming simply because there is so much to do and to see. You could spend a lifetime visiting London and you still wouldn’t see it all. If you’re visiting London for the first time and you’re only spending a day or two there don’t be temped to find that cool bookstore you saw on Instagram or that cute cat café you pinned on Pinterest just because you think you’re too cool to do tourist attractions. There’s a good reason everyone takes a photo at Westminster Bridge with Big Ben in the background. Why? Because it’s the symbol of London. Yes, you can visit that new hipster brunch place your best friend went to or go on that street art tour everyone’s raving about the next time you’re in London but if you miss seeing Big Ben or Tower Bridge you’ll regret it. So, what do you want to remember your trip by? 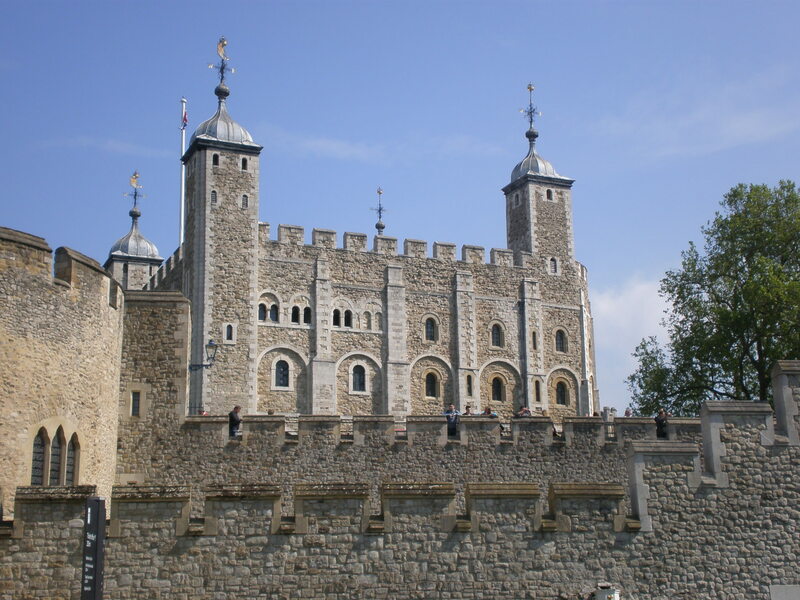 By visiting a UNESCO World Heritage Site (Tower of London) or …? Do visit the well-known tourist attractions and cultural and historical landmarks on your first visit to London and leave the trendy new places for your next visit especially if you’ve only got a day or two to enjoy London. 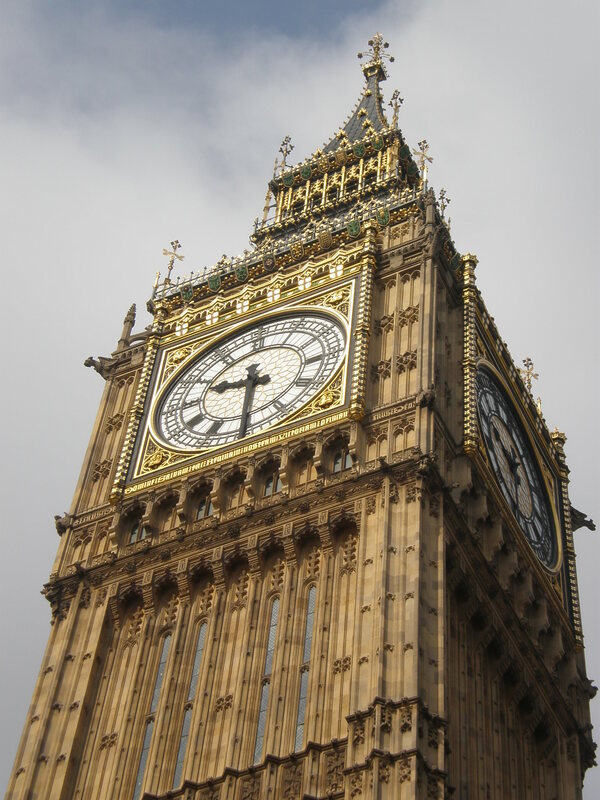 Did you know that Big Ben is actually the name of the giant bell inside the clock tower? The real name of this clock tower is Elizabeth’s tower nowadays but its name used to be St Stephen’s tower. The current Westminster palace aka the Houses of Parliament was built in 1870. 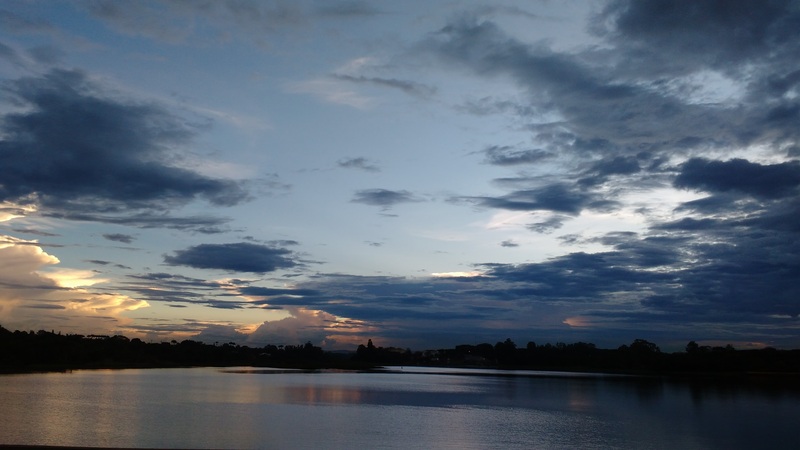 You can visit it if you book a guided tour (for more information click here ). Walk across the Tower Bridge and take hundreds of photos of it. It’s very Instagram worthy! :) If you’re lucky you’ll see it raised to let the ship pass under it. 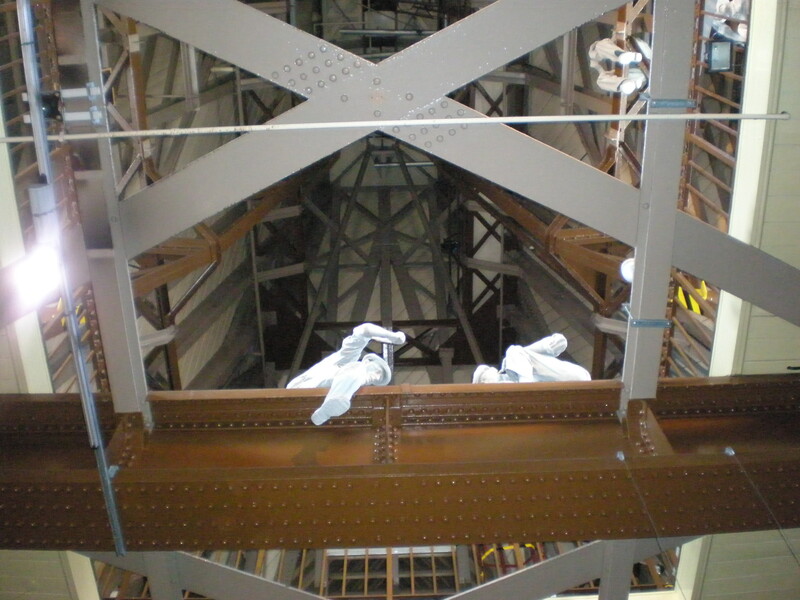 Moreover, if you want to learn about the bridge mechanics or walk on the glass floor 42 m above the Thames visit the Tower Bridge Exhibition. During the history the Tower of London has been a fortress, a royal palace and a prison. Nowadays a tourist attraction as well as the home of the Crown Jewels. The oldest part of this UNESCO site is the White Tower which was built for William I (the Conqueror) in the eleventh century. You can admire it from the outside or buy a ticket and visit it. For more information click here. Who hasn’t dreamt of becoming a king or a queen when growing up? We were all brought up with stories and fairy tales about valiant princes and beautiful princesses. However, being an actual royal is something completely different, especially nowadays. 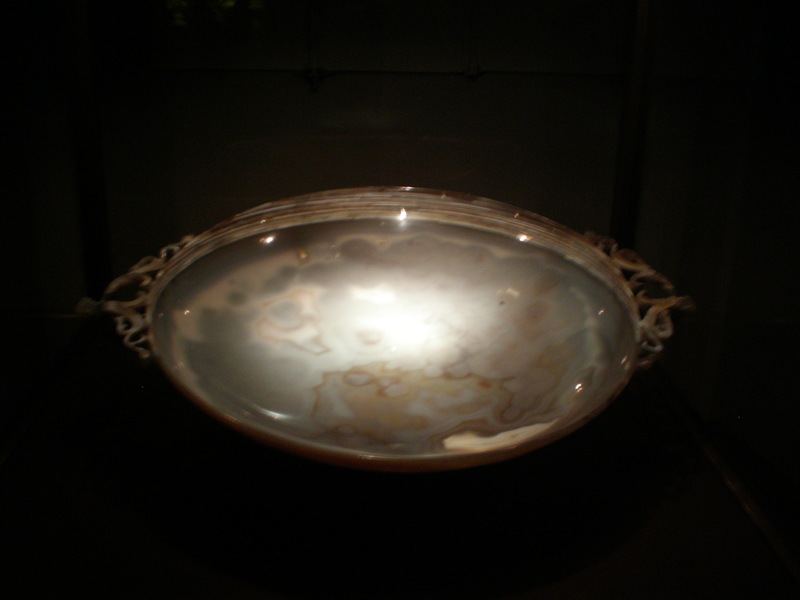 Nevertheless, seeing real royal treasures can still be very enchanting ( and educational). 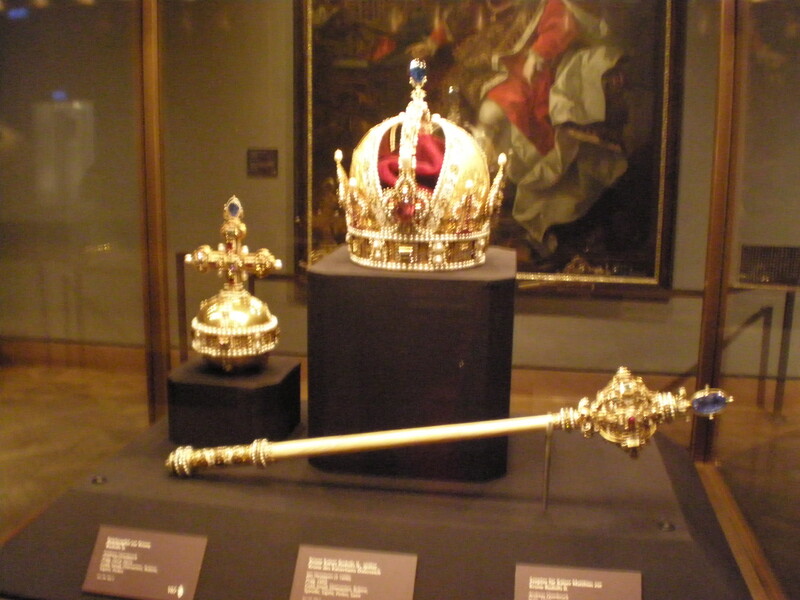 On my recent visit to Vienna ( last month) I got to admire the priceless crowns and other immensely beautiful objects in Kaiserliche Schatzkammer Wien (Imperial Treasury) before I enjoyed a delicious cake at yet another Viennese cultural institution: Café Central. Imperial Treasury Vienna is housed in the oldest part of the Hofburg Palace in the center of Vienna (the royal palace of Habsburg family who ruled over Austria and much of Central Europe until 1918). 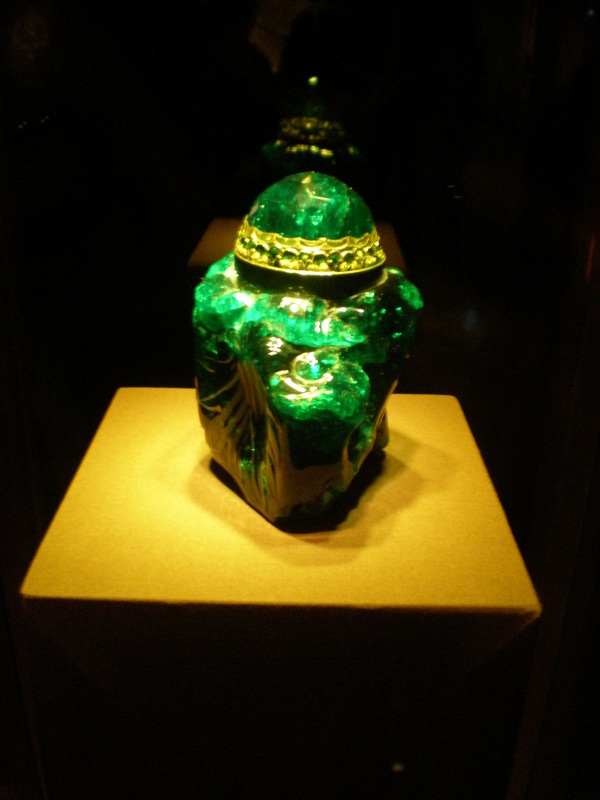 Imperial Treasury may not be the most interactive or family friendly museum but it is one of the most important treasuries in the world containing secular and ecclesiastical objects of immense cultural and historical value. 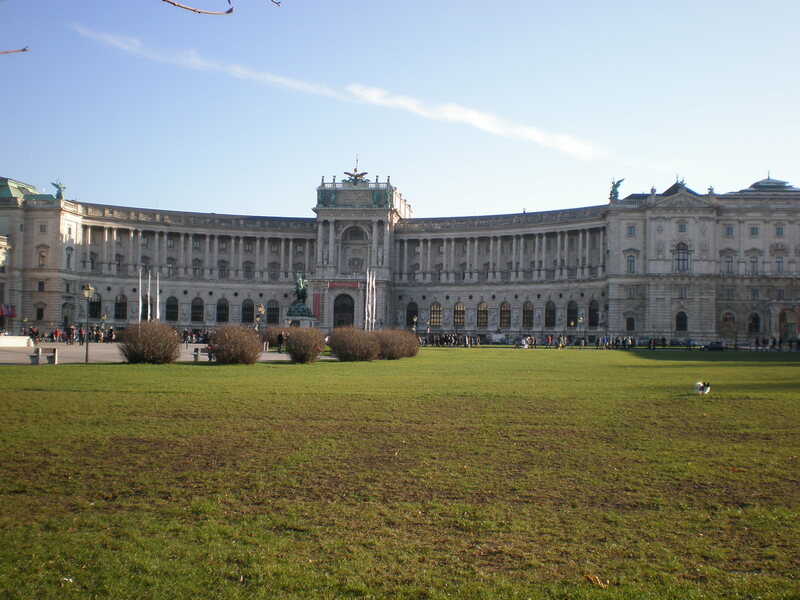 The museum is affiliated with the Kunsthistorisches Museum Vienna, which is just a short walk from the Hofburg Palace. 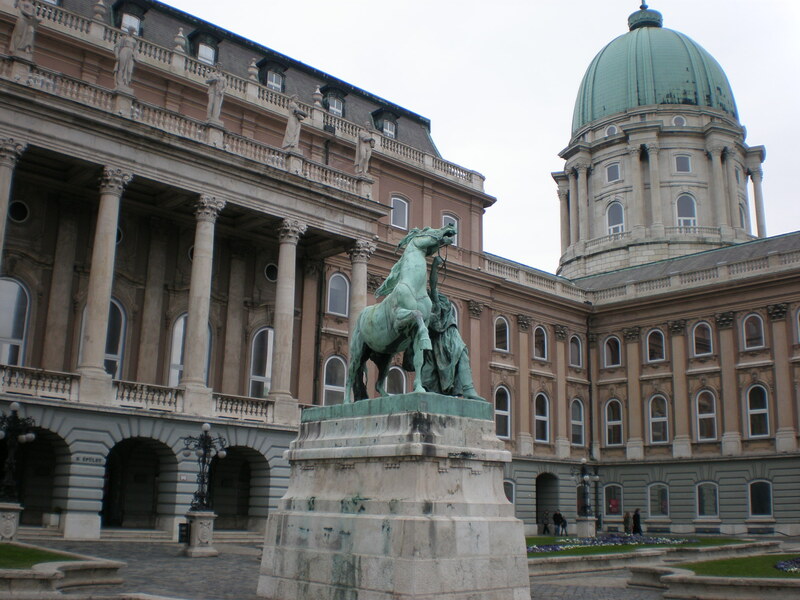 The museum’s collection was compiled by the Imperial House of Habsburg over the course of centuries but it has only been opened to the public as a museum since 1954. The museum facilities include: ticket office, small shop, toilets and a cloakroom on the ground floor. There’s also an Audio Guide point (for extra charge) just before you climb the stairs to get to the museum’s collection spread over 21 rooms on the upper floor. 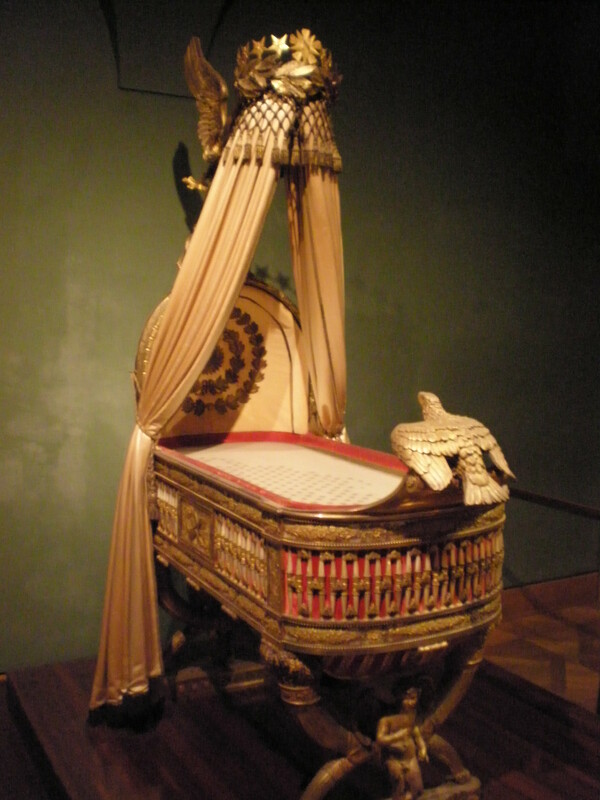 The admission to the Imperial Treasury Museum costs 12€ for adults. The museum is open every day from 9.30 AM to 5.30 PM, except on Tuesdays. You can take photographs inside the museum but without flash. For more information about the museum click here ! It’s in the first room you enter. It’s truly magnificent and there’s also the Imperial Orb and Sceptre. Now, this is one seriously imposing cradle. But you wouldn’t expect anything less for the Napoleon’s only son, would you? It’s a small object but it’s actually the largest cut emerald in the world. I must say this was my favourite object of them all. It looks very contemporary. It’s rather big and the legends surrounding it are extraordinary. Some believed that it was the Holy Grail. It was made in the Late Antiquity and together with the unicorn’s horn (not real of course, it’s actually a narwhal’s tusk) makes ˝inalienable heirloom of the House of Habsburg˝, meaning it couldn’t be sold or given to anyone else. I’ve visited Budapest three times. Twice in wintertime and once for a couple of hours on a hot September day on my way to Bratislava. So basically my experience of Budapest is a Budapest decorated with Christmas lights and smelling of mulled wine and sweets. I loved exploring the Christmas markets in Budapest and eating cake in one of the city’s oldest cake shop Gerbeaud. On my first visit back in 2004 (for New Year’s ) I travelled with a boyfriend and we did most of the usual tourist attractions. We admired the grandiose Heroes’ square and the nearby castle and felt romantic at Fishermen’s Bastion and crossed many bridges. I compared Hungary’s parliament with the Houses of Parliament in London and we used the oldest underground in the continental Europe. We also took a night boat ride on the Danube river and ate in a traditional but very touristic restaurant. However, my most precious memory of that Budapest visit was winding down in the famous Gellért Baths. It was indeed a special experience! In 2011 I visited Budapest again during Advent time and of course I bought a lot of Hungarian gingerbread biscuits (and some ginger ale). I pretty much re-visited all the major sights and admired the view of Budapest from the Gellért Hill. 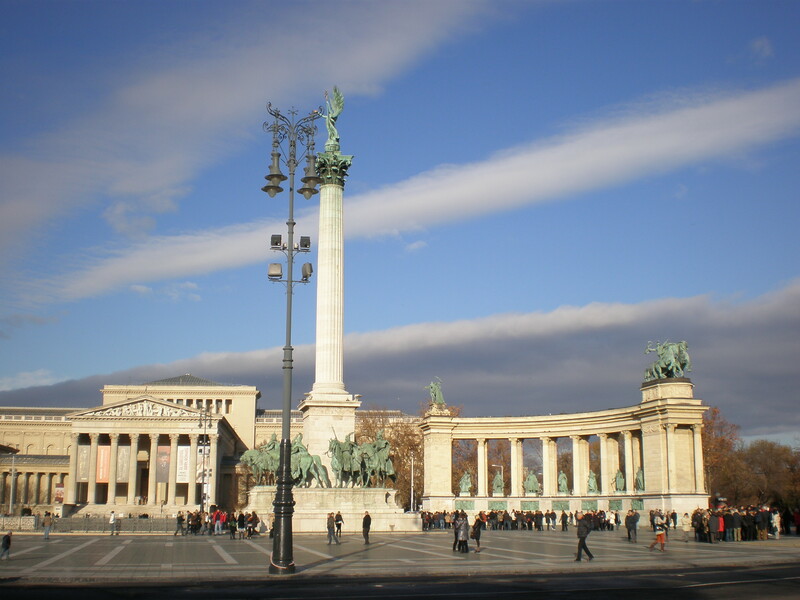 My last visit was in September 2012 but then I just spent a few hours in Budapest on my way to Slovakia’s capital Bratislava. I saw a different Budapest but I must say I prefer it in wintertime 🙂 During this last visit I had drinks at one of the infamous ruin bars. My personal and very subjective recommendation is to visit Budapest during Christmas season and to enjoy the wonderful Christmas markets. Beware though, Budapest can be very, very cold in winter so pack warm clothes. 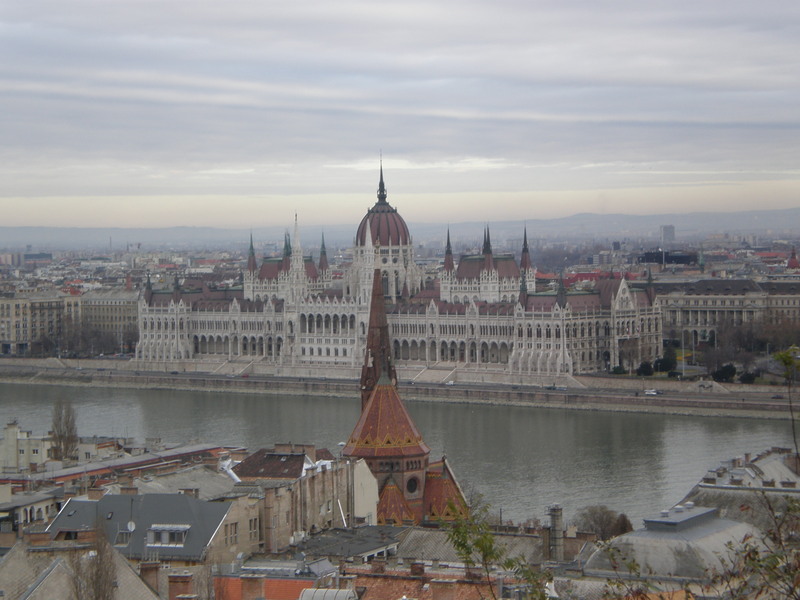 How long should you stay in Budapest? Three days is the ideal length of visit but if you want to stay longer than you might want to take a day trip to beautiful Lake Balaton for example or to Vienna. So, what do you HAVE to DO in Budapest? London has stolen my heart years ago even before I’ve actually visited it for the first time. I roamed its streets many times, did all the major tourist attractions, found my favourite spots but I haven’t done it all. It’s impossible to see everything in London. I reckon that Londoners themselves haven’t exhausted all the possibilities that London offers. On my most recent London trip in May this year I’ve explored some new things. One of them was the Tower Bridge Exhibition. Like many of you I have walked across the Tower Bridge many times. I took numerous photos of this London icon but I couldn’t have imagined before that one day I’d be walking between the two towers high up above the Thames. The Tower Bridge was built in the period between 1886 and 1894. It was officially opened by the future king Edward VII and his wife Alexandra of Denmark. The bridge is 240 m long while its two towers are 65 m tall. The central span between the two towers is 61 m. The bridge still raises to let the big ships pass under it but today computers do all the hard work. Previously, it was all done by the hydraulic system. The bridge didn’t look like this always. In 1977 it was repainted in blue, white and red to commemorate Queen’s Silver Jubilee. I booked my ticket online and got one pound discount. The ticket is valid for one year from the date of purchase. I decided to visit it on my second day in London after I said hello to Big Ben. There was a group of school children at the gate but I didn’t have to wait for them because there’s a separate entrance for groups. Beware! I had to climb many, many, many steps but it was totally worth it. I got down by lift though. Your visit starts in the north tower, then you cross the walkaway and its cool glass floor and proceed to the south tower. What can you see in the Tower Bridge Exhibition? 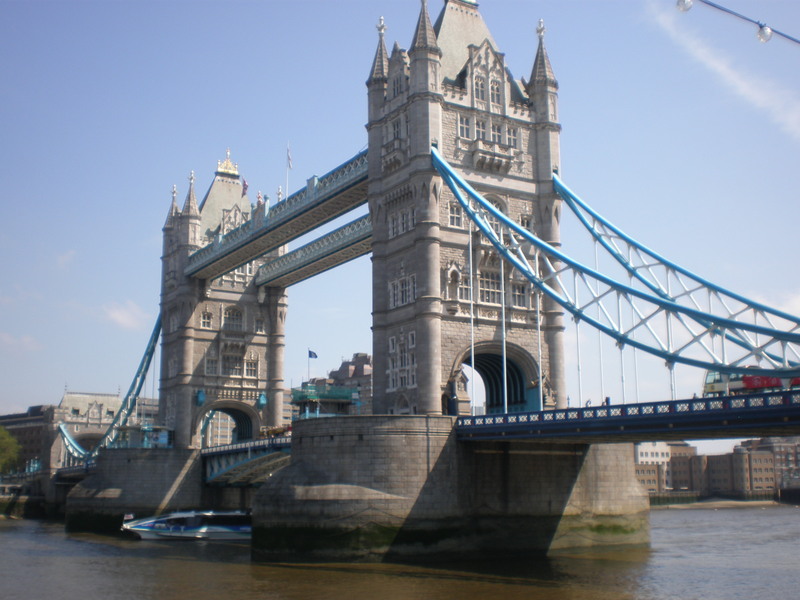 Naturally, you can learn about the history and the construction of the Tower Bridge. You can also learn about some other famous bridges in the ˝Great Bridges of the World˝ display. What I found very interesting was a display on all London bridges. You can watch a short video and see the bridge raise as well if you haven’t seen it in real life. Of course the best part is to enjoy the beautiful views of London. Since you’re right next to the Tower of London you can look down on that historical castle. You can enjoy the views of St Paul’s and the rest of the City of London as well as admire the Shard and see all the way to Canary Wharf.